As you are probably aware, Hanukkah (or Chanukah or lots of different transliterated spellings) is coming up. This year it will be commemorated from sundown on Tuesday, December 12 to sundown on Wednesday, December 20. I was reading Rabbi Kalman Packouz’s commentary on Chanukah earlier and of course, re-evaluated my relation (if any) with the observance. I mean it’s difficult to objectively insert myself as a non-Jew into a purely Jewish historical event complete with miracle from Hashem. 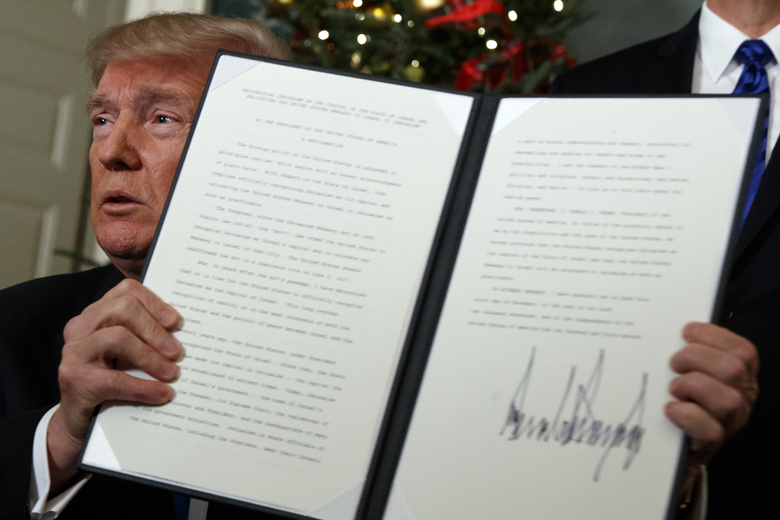 Of course since today President Donald Trump formally recognized that Jerusalem is the capital of the Jewish state of Israel barely a week before Chanukah, I suppose this too is a sort of miracle and one relevant to the entire world. I read somewhere (I can’t find the source now) that historically, the world has tried to destroy the Jews in two different ways, physically as a people (genocide, ethnic cleansing) and by assimilation into general culture (eliminating Jewish identity and uniqueness). Purim is the Jewish celebration of victory over the former and Chanukah the commemoration of victory over the latter. But what does any of that have to do with non-Jew? In both cases, it’s non-Jews who are the problem, not the solution. Even those of us to are linked to the Jewish community one way or the other (okay, I’m married to a Jewish wife, but that only links me to her, not the community) and who are pro-Israel weren’t involved in either original event, so what do we have to celebrate, except perhaps in solidarity? It’s not our commemoration. I visited the closest thing I can find that might hold any sort of answer at AskNoah.org to see what they had to say. Granted, they won’t recognize my devotion to Rav Yeshua as having any sort of legitimacy, but people like me inhabit a sort of spiritual and theological “no man’s land” anyway. …still mark the days of Hanukkah this year in some of the additional customary ways. This includes the option to say the chapters of Psalms (Psalms 91, 67, 30, 133, 33), reading and thinking about the history and messages of Hanukkah, and enjoying some traditional recipes. You can also attend public lightings of outdoor Hanukkah menorahs that might be taking place near you during the festival. Granted, none of this takes into consideration our “Judaically aware” perception of Rav Yeshua and our being allowed to partake in some of the New Covenant blessings based on the merit of our Master and our discipleship, however meager in my case, to him. Still, for lack of any better template, this will have to do. It is true that Chanukah is a relatively minor holiday, so there’s not a lot to get worked up over, but for me, this is what happens every time my Gentile faith in the Jewish Rav intersects at all with some aspect of Judaism. All that said, I suspect the real role of people like me/us in the days to come will significantly eclipse Chanukah. As the world challenges the Jewish right to call the City of David Israel’s capital and hates the American President for recognizing the fact (of course, if Trump said he liked to eat steamed carrots, suddenly eating steamed carrots would become totally evil because, well, you know, just because), we will be called to stand up and stand with the defenders of Israel against her enemies. The majority of the world, that is, all Gentiles everywhere, are going to oppose Jerusalem vehemently. We must shoulder the burden of standing against our parents, our children, our spouses, our friends, our neighbors, because we will be the few among the nations who stands with Israel. May Chanukah be a time of miracles and may Hashem continue to protect His people and nation Israel. May He also grant us among the nations the privilege of joining the righteous.